Past collapses of exterior decks or failed railings, have resulted in injury and the tragic loss of life, and are an urgent reminder for increased public awareness in the regular maintenance of building attachments. Exterior decks, stairs, balconies, porches or other attachments to buildings should be routinely inspected by licensed professionals to assure their safety. The Department of Building Inspection requires owners of apartment buildings and hotels with exterior decks and attachments to have a licensed structural pest control operator, licensed general contractor, architect or engineer inspect your deck, porch, stairs, balcony or other attachments, every 5 years to assure their continued stability and safety. SAN FRANCISO HOUSING CODE SEC. 604. STRUCTURAL MAINTENANCE. (a) Affidavit Required. All wood and metal decks, balconies, landings, exit corridors, stairway systems, guard rails, hand rails, fire escapes, or any parts thereof in weather-exposed areas of apartment buildings and hotels shall be inspected by a licensed general contractor, or a structural pest control licensee, or a licensed professional architect or engineer, verifying that the exit system, corridor, balcony, deck or any part thereof is in general safe condition, in adequate working order, and free from hazardous dry rot, fungus, deterioration, decay, or improper alteration. Property owners shall provide proof of compliance with this section by submitting an affidavit form (provided by the Department) signed by the responsible inspector to the Housing Inspection Services Division every five years. For purposes of this section, weather-exposed areas means those areas which are not interior building areas. Owners of apartment buildings and hotels shall provide proof of compliance with this Section by submitting the Compliance Affidavit, with verification (if applicable) completed and signed by the licensed professional who inspected the subject building, to the: San Francisco Department of Building Inspection Housing Inspection Services Division Attn: Section 604 H.C. Affidavit Filing 1660 Mission Street, 6th Floor San Francisco, CA 94103-2414. 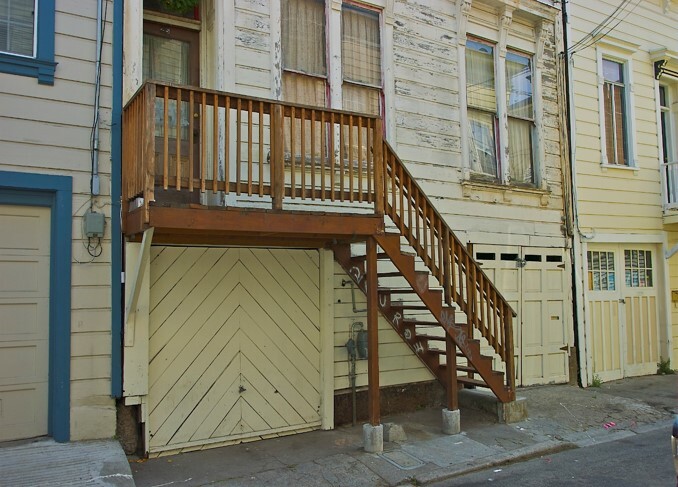 Code enforcement proceedings as required by the San Francisco Housing Code will be initiated against those property owners who do not file completed and signed affidavits to the Department of Building Inspection.